You should read this book. It is amazing. It's not often I hand off my YA reads to my husband. But when I was finished with this one, I passed it over and told him he should read it. He did (another rarity, he normally reads super boring non-fiction or finance books, to which I say: Bleeeeeeeeck.) and he loved Divergent as well. There were some tiny complaints I had, but they were overshadowed by the things I really liked. 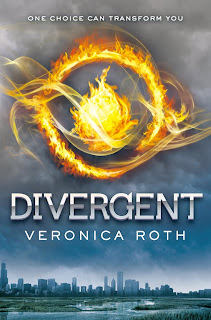 Here's a small summary: "In Beatrice Prior's dystopian Chicago, society is divided into five factions, each dedicated to the cultivation of a particular virtue—Candor (the honest), Abnegation (the selfless), Dauntless (the brave), Amity (the peaceful), and Erudite (the intelligent). On an appointed day of every year, all sixteen-year-olds must select the faction to which they will devote the rest of their lives. For Beatrice, the decision is between staying with her family and being who she really is—she can't have both. So she makes a choice that surprises everyone, including herself." 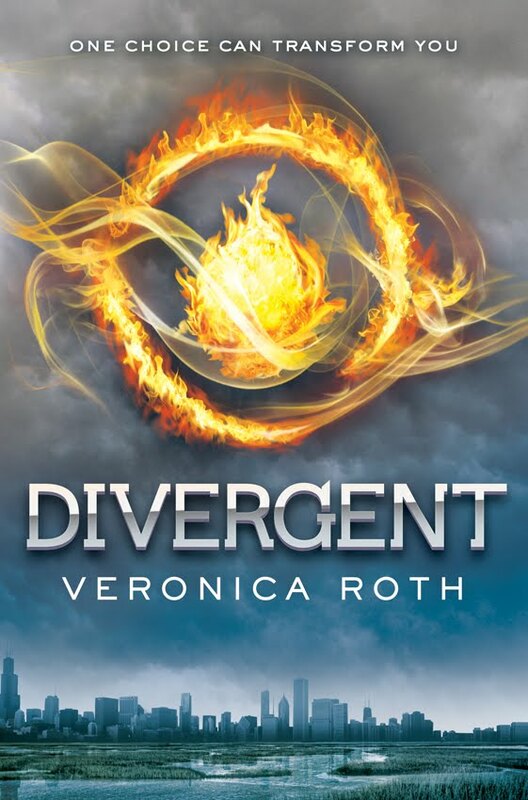 I read Divergent over the weekend and I agree that it's amazing. I also had a few complaints, but the rest of it was so good that I could overlook those. Such a good book!! So good, right? I wish I could pass a book along to my husband. But he doesn't read AT ALL. Besides the Good Gook and the BoM. I don't know how we ended up marrying each other. Today seems to be Divergent Day. I posted a review this morning, and so did you and two other peeps on my blogroll. I really enjoyed it as well! The good gook? Sheesh. Book. Book. I just finished and had minor issues as well. I'm curious as to what yours were (to see if they are the same) but I know we are all reluctant to publicly criticize in any way! I actually did the same thing with my husband! I got him to read the Hunger Games--he was hooked, and now that he's almost done, I said, here, read Divergent--it's on the Kindle. Did you read Wither? I had minor issues as well, like every book, really, but I must say, I LOVED Tobias--I would love to see him on film! I keep hearing about this one. Your husband sounds like my husband...except that my husband is shorter and more Peruvian...because he is reading a biography on Teddy Roosevelt and a book on investing. Much too boring for me.